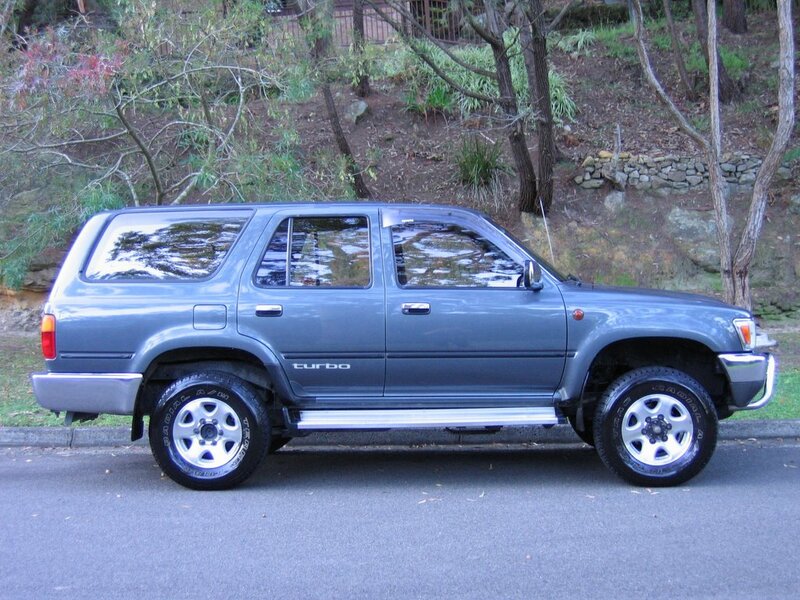 We sold the Toyota Surf (pictured) last week... we had advertised the car on a few online sites but decided to take it off the market as were planning to go on one more camping trip before we sold it... and then out of the blue we got a call as someone wanted to buy it. We had forgotten we had an ad with Carsguide.com.au! Anyway after a week of toing and froing the car was sold and I was left carless for a week. We ended up finding a Mazda Astina SP 1990 for a runabout and we're picking it up this Sunday. Wouldn't a few of these be great for holiday cabins? Tiny but with all the bits necessary! Ooh these look great. Andrew Maynard has created these wonderful small "box" like modules to build into homes and complexes. Very cute! 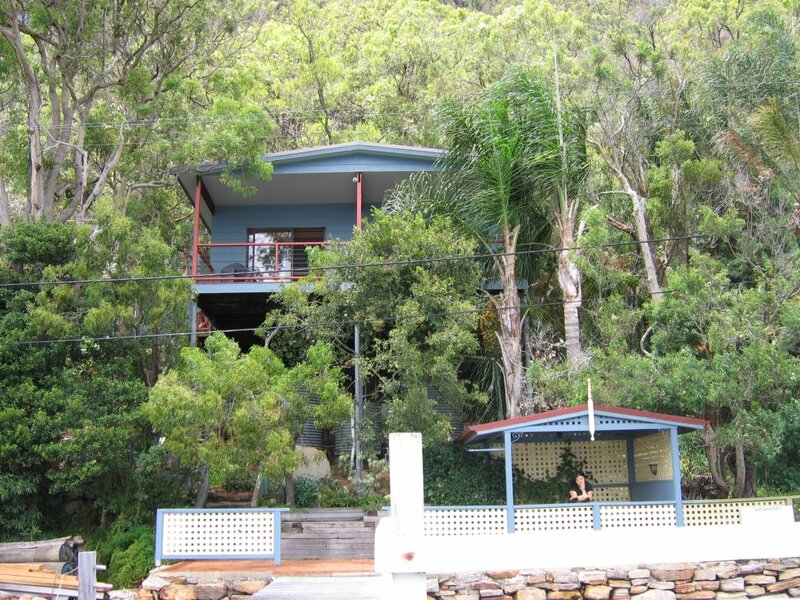 We went to Little Wobby on the weekend. 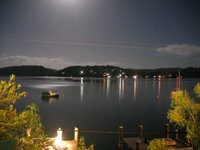 Gosh I love it there! Waterviews, relaxing, no pressure to do anything... I managed to read two books which I had taken with me: Life of Pi and Golden Fool... flicked through some magazines they had there and listened to CDs. The weather wasn't great, but it was good enough for some great R&R. 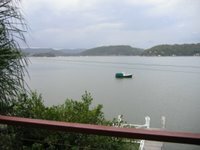 Didn't manage to go to the beach (40 minute walk away) but sat on the deck and the jetty enjoying the water breeze and the view out to the water and to Dangar Island. Had lunch with Nikki at Kenta on Thursday 29 Dec 2005. Food was OK, but definitely cheap! Good value. 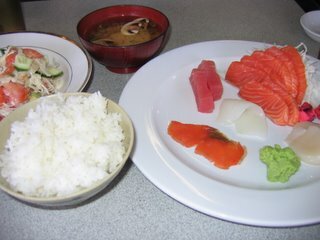 I had the sashimi lunch set which included sashimi, salmon salad, rice and miso soup. Was very full! Meal was approx $10 - $11... here's a pic of what I ate. 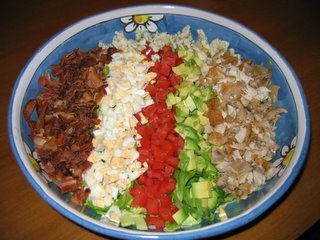 Had to take a photo of the Cobb Salad I made for Xmas Eve Lunch. Here it is! Had a lovely time at our friends' Suzy and Scott's place last night to celebrate the incoming new year. We also watched part of Se7en, but Suzy and Scott were both falling asleep so we thought we'd call it a night (morning) by then. Nice midnight fireworks (saw it on TV) but I think I'm getting a bit over it all.